Put Larry to work for you! 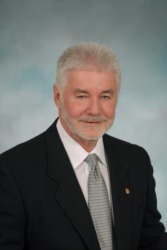 Larry Brown’s expertise is in helping buyers find the perfect home to fit their needs. Larry listens to his clients, thoroughly researches available properties that fit their criteria and helps them find a trustworthy mortgage loan officer. He helps his clients understand the inspection report and works with the selling agent to ensure repairs are completed so all parties can come to the closing table in a timely manner. Put Larry to work for you . . . buying or selling your next home! Email him at LarryBrown@FCTE.com or call 821-499-6183.